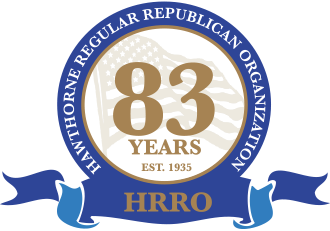 Welcome to our Hawthorne Republican Club site! This website is meant to provide you with information about the Hawthorne Republican Club. Browse the site to learn more about the club and some of the events that we have. Hope to see you at our next meeting. Mayor & Council Meetings are held every 1st and 3rd Wednesday at 7pm.